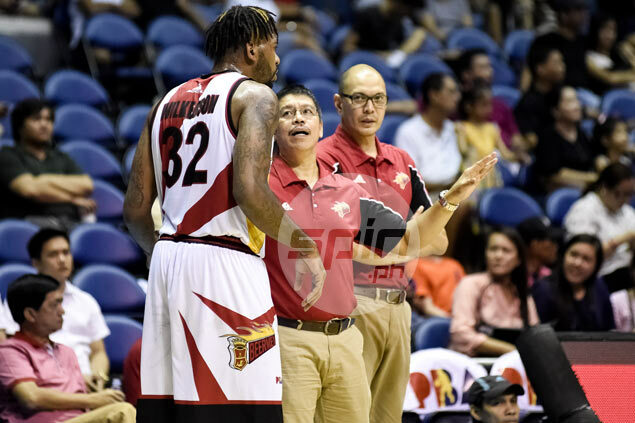 SAN Miguel Beer seeks to avoid complications as it takes on streaking Tropang TNT on Friday in the final day of the PBA Commissioner’s Cup elimination round at the Smart-Araneta Coliseum. The Beermen are running second with seven wins in 10 outings and a loss to the Texters will drop them to either fourth or fifth spot, settling the stage for a best-of-three quarterfinal series against either Ginebra or Rain or Shine. But a victory against the Texters will enable the Beermen to overtake eliminations victim Meralco and claim the second twice-to-beat advantage in the first round of the playoffs. So significant is the 7 p.m. matchup against the Texters is that the Beermen have been preparing against the defending champions even before their game against Phoenix, which they beat, 121-109, last Sunday. TNT, currently in fifth spot in a tie with Alaska at 6-4, will earn a playoff for second seed if the MVP group flagship squad overcomes San Miguel, but a defeat will drop the Texters to sixth spot, facing either Alaska or Ginebra in a best-of-three affair. David Simon anchors the Texters along with Gilas Pilipinas stalwarts Jayson Castro, Ranidel de Ocampo, and Troy Rosario. The playoff matchups also hinge on the result of the curtain-raiser between the Aces and seventh-running NLEX (5-5) at 4:15 p.m.